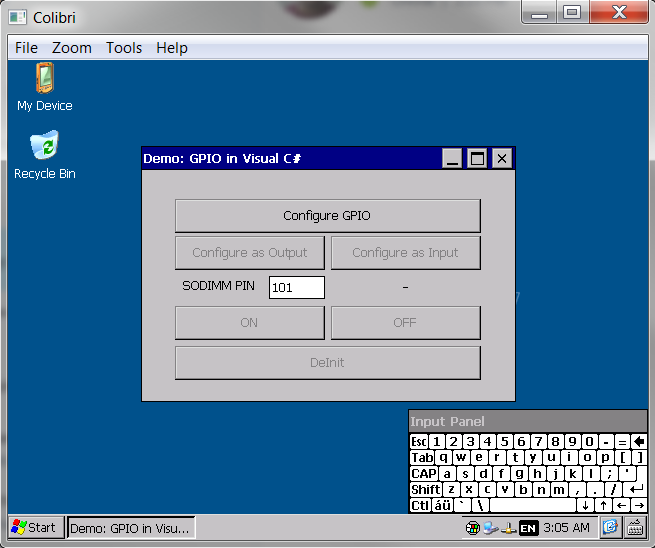 This article aims to help the developer in using Toradex GPIO library in Visual C#. The following steps illustrate how to build a complete project which requires calling Toradex Win32 DLLs in Visual C#. 1. Follow this tutorial up to step 7 to create a new project in Visual C#. using System.Runtime.InteropServices; is used to provide inter-operability services in Visual C#. This is done to use the Toradex C Win32 DLLs. For Toradex new library TdxAllLibraries.cs import all function to be used in Visual c# project. 8. Download and Install .NET Compact Framework directly to the FlashDisk of the device from here. 9. Navigate to Solution Explorer in visual studio > Right Click on Solution > Properties > Devices. 10. Uncheck "Deploy the Latest version of the .NET Compact Framework (including Service Packs)". 11. 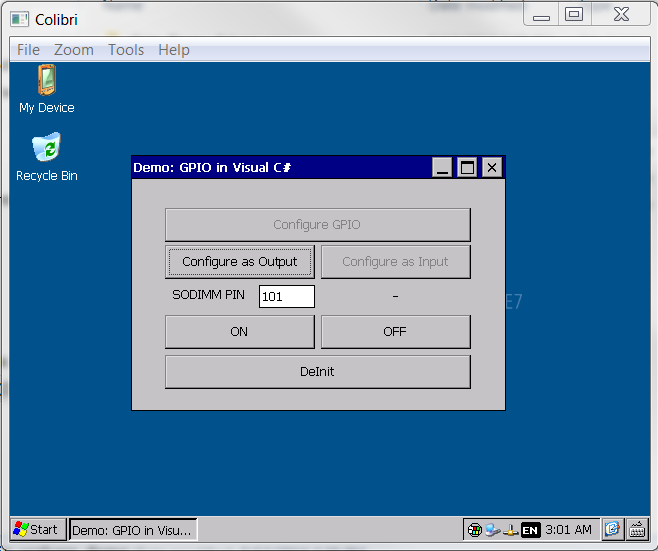 If using Toradex old library Add GpioLib.dll into project by choosing Add > Existing item.. from solution properties. If using Toradex new library ** Add TdxAllLibraries.cs and TdxAllLibraries.dll into project by choosing Add > Existing item..
12. To deploy dll alongwith project executable, right click on dll > Properties and set Copy to Output Directory to Copy always. Alternatively, you can manually copy the dll to the project folder in which .exe will be deployed after step 13. 13. To build and deploy the project, follow steps 12 to 16 from here. 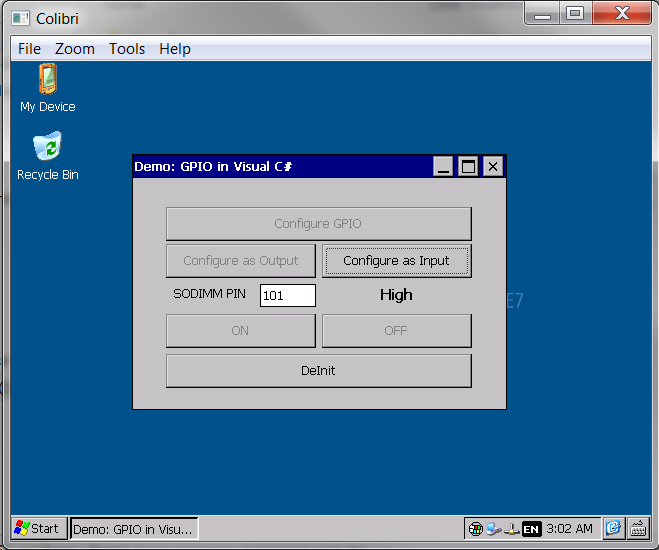 Enter sodimm number to be used as Input or Output.